JEREMY JACK CIGARS IS PLEASED TO ANNOUNCE THE RELEASE OF THE JJ14 LANCERO! 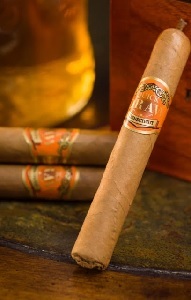 THE JJ14 LANCERO CONTAINS NICARAGUAN AGANORSA LEAF BINDER AND FILLER AND IS WRAPPED IN ECUADORIAN CT. AVAILABLE IN BOXES OF 20 AND READY TO SHIP NOW. 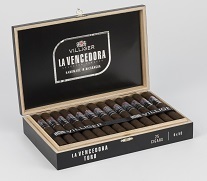 (Miami, Florida) January 24, 2018— Villiger Cigars begins 2018, which is the 130th year anniversary of the company, with the announcement of the newest Villiger Cigar brand, the Villiger La Vencedora. The Villiger La Vencedora is the follow up blend to the Villiger La Flor De Ynclan which attained a top 10 ranking in Cigar Aficionado Magazine’s top 25 Cigars for 2017. The Villiger La Vencedora which translates to “The Victor” is the first ever full-bodied Villiger cigar, and carries a special meaning to Villiger Cigars chairman of the board, Heinrich Villiger. 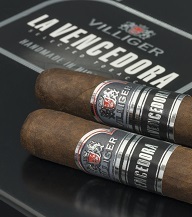 Rene Castañeda President of Villiger Cigars North America stated, “We as a team feel that the Villiger La Vencedora is a palate pleasing, full-bodied, yet elegant cigar, that will satisfy the cigar connoisseur as well as the casual smoker. 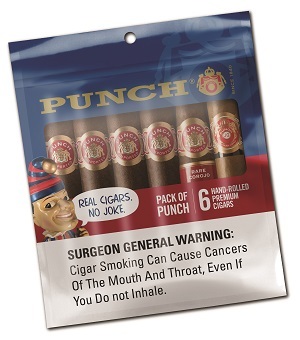 Punch cigars are handmade in Honduras. For more information, visit www.punchcigars.com or follow Mr. Punch and his wicked musings at @punchcigars. AUSTIN, TX and EASTON, PA – JANUARY 13, 2018 – Sharing the spotlight with Southern Draw is Famous Smoke Shop, the largest American-owned distributor of premium cigars online, which has been given an exclusive, limited-time initial release period. Last December, the Pennsylvania-based cigar retailer was also given a limited-time exclusive for the release of Southern Draw's QuickDraw Corona Gorda cigars. We are honored that CigarSnob Magazine ranked the Villiger San'Doro Colorado number 9 on thier list of the Top 25 Cigars of 2017. Rene Castaneda, President of Villiger North America said, " We are humbled that the team over at Cigar Snob Magazine once again included a Villiger cigar in their top 25 list. We look forward to continuing our efforts to bring the best cigars and customer service possible." St. Petersburg, FL – Feb. 23, 2018 – Felix Assouline, founder of Felix Assouline Cigars, announced that Heather Callahan has joined the company as its new director of sales and marketing. Her main office will remain in St. Petersburg. Callahan will be in charge of growing and enhancing the company’s brand recognition, planning special events with Felix Assouline, attending major cigar-related events, and sales staff management, along with hiring and training sales staff and other general management responsibilities. Callahan comes to the company with an extensive array of expertise. She has 25 years of experience in sales and marketing and 10 years in the field of finance. She began her career with Gran Habano and Drew Estate Cigars, beginning as a local sale representative and advancing to the position of national sales director. The new director of sales and marketing has a BA from Michigan State University in Lansing, MI and an MBA from Spring Arbor University in Spring Arbor, MI. She’s a veteran of the U.S. Army Reserves and married with a blended family of four adult children, two of which are still serving actively in the U.S. military. Felix Assouline Cigars is proud to introduce new premium cigar brands made in the company’s factory in Estelí, Nicaragua, the Capital of Tobacco. Each Assouline cigar is blended from the richest mix of tobaccos from fields in Nicaragua and Honduras and rolled in the traditional Cuban way. The company takes the time to box press its cigars to fuse the leaves together. The result is distinctly rich flavors found in every one of the company’s brands. AROMAS CIGAR BAR & Beer House in conjunction with the Private Cigar Aficionado’s group Club Robusto is proud to announce the 7th Annual STOGIEFEST in JACKSONVILLE this March 25th. STOGIEFEST showcases over 20 select cigar manufacturers, each providing a sample of their finest cigars complimentary to all attendees, as well as a code of high end liquor distillers providing samples of the finest adult beverages available, in conjunction with other tobacciana supportive companies culminating to offer a fun filled celebration for the avid cigar lover and for those wanting to become one. Come learn directly from the manufacturers about the different characteristics and traits of the world’s best cigars. VIP pre-events will be held on Friday, March 23rd, and Saturday March 24th with a complete tentative schedule posted on StogieFest.com. Besides the huge value of receiving more than $300 worth of complimentary cigars, spirits, craft beers, great food and swag just for attending, StogieFest also offers incredible bands, a bikini contest, a free blackjack tournament and an exclusive Scotch tasting supported by distiller representatives on hand to teach the finer points of scotch. Ticket holders vote for their favorite cigar at the event by using their voting chip during the cigar hand out session. Come to enjoy a great party, leave with enough cigars to fill your humidor! VIP Tickets include early admission to the event as well as a private after party and meet & greet directly with the cigar and liquor manufacturers at Aromas inside the Private “Members Only” lounge of Club Robusto. Circle the 25th of March on your calendar to spend the whole day at StogieFest! 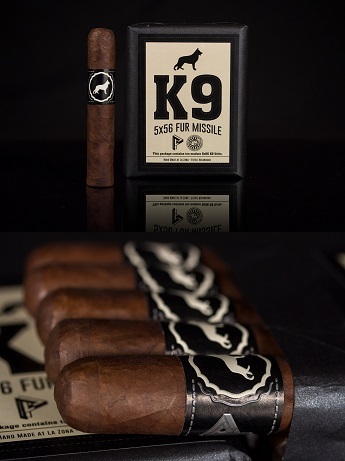 AUSTIN, TEXAS - Two American, family-owned cigar businesses have partnered for an exciting new cigar release. 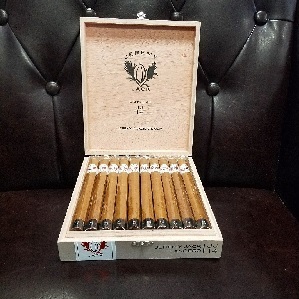 Southern Draw Cigars, a Veteran-owned premium cigar brand, proudly announces a new addition to their QuickDraw line of cigars: a Corona Gorda (5x46), now available in 25-count boxes protected by Boveda Inc.’s two-way humidification. 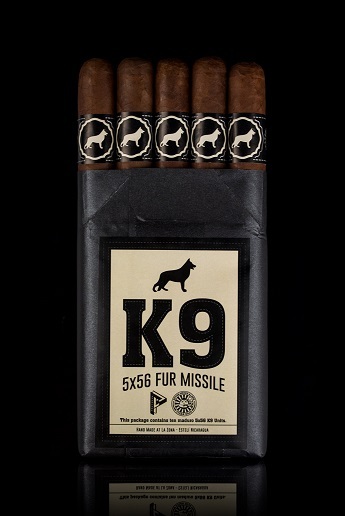 Built on a relationship that’s as much business as it is brotherly, Famous Smoke Shop - the largest American-owned distributor of premium cigars online – “committed on the spot” for the exclusive opportunity to collaborate on the new QuickDraw, now available at famous-smoke.com. “Famous Smoke Shop and Southern Draw Cigars are coming off a wonderful Veterans Day Appreciation event, which was highlighted by our mutual commitment to Cigars for Warriors and our active duty military personnel. This partnership has provided an ideal opportunity to join forces again to distribute the first release of this exciting new line extension of our QuickDraw blends,” said Robert Holt, Chief Evangelist of Southern Draw Cigars. 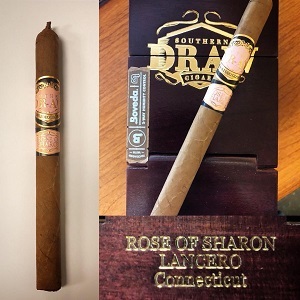 The QuickDraw line from Southern Draw Cigars has satisfied cigar smokers since their release in 2014, with three unique blends: a mild body/medium flavor Connecticut, the medium-plus body & flavor Dark Habano and their rich, complex and medium-full body/full flavor cigar clad in a Pennsylvania Broadleaf wrapper. Hailed as “connoisseur-size” cigars, the QuickDraw trilogy was carefully blended to be enjoyed in Petit Corona (4.5x44) and Short Panatela (5.5x40) sizes, and savored over the course of 30 - 45 minutes. A Commitment to Fair Pricing. Since their debut, these complex “little cigars” have remained fairly priced in spite of mounting tobacco regulations; with Famous Smoke Shop driving the launch of this new Corona Gorda option, both cigar maker and retailer are determined to keep the new QuickDraw’s cost friendly to cigar smokers: “Both Sharon and Robert, along with our team at Famous, expect the new QuickDraw Corona Gorda to deliver the strength and flavor of its smaller ring gauge counterparts. And now that we’re doing it in this classic and popular size, we want to keep it around the same price,” added Jim Charnley, Famous’ Director of Purchasing. Act fast or please have patience. Because of high demand and enthusiasm for Southern Draw cigars, and the exclusivity of these proven blends in this popular, desirable size – coupled with the holiday giving season – it’s likely that the new QuickDraw Corona Gorda cigars will sell out fast. This initial release will only be available at Famous Smoke Shop, with wider availability at a later date. 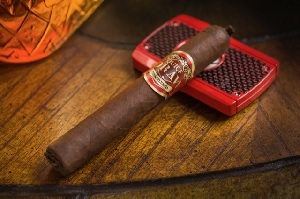 For best and most immediate service, visit famous-smoke.com to purchase from this limited allotment of cigar stock. 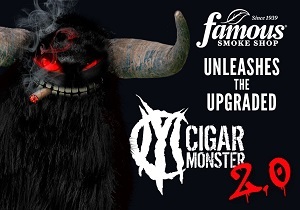 Famous Smoke Shop is the #1 American-owned discount cigar retailer, home to the lowest prices on the largest selection of premium cigars, humidors and cigar accessories in the country. 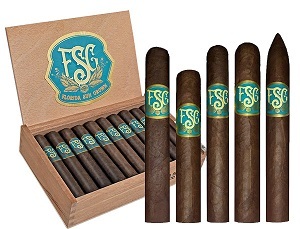 With over one thousand cigar brands in stock, including Southern Draw, Acid, Davidoff, Macanudo, Romeo y Julieta, Ashton, Padron, Oliva and Perdomo cigars, cigar smokers shop at Famous Smoke Shop with confidence: every purchase is backed by the Famous Freshness Guarantee and award-winning customer service. Southern Draw Cigars - A Veteran Owned and Operated premium cigar brand that offers only hand crafted cigars from patiently aged, naturally fermented tobaccos. Produced in Estelí, Nicaragua and distributed from our home state of Texas. More information may be found at www.southerndrawcigars.com or Southern Draw Cigars on Facebook, @sdcigars on Instagram and Twitter. The year is 1968 and General Cigar Company has just purchased the Temple Hall Cigar Factory in Kingston, Jamaica. With Temple Hall, the company acquired Macanudo, a small handmade cigar brand made just for the British market. If the then-owners of General Cigar had a crystal ball, would they have predicted that in 50 years, this small brand would have evolved to become a global icon? The answer is, without question, yes. 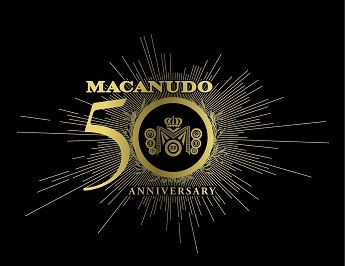 2018 marks a major milestone for Macanudo, as the brand commemorates its 50th anniversary. 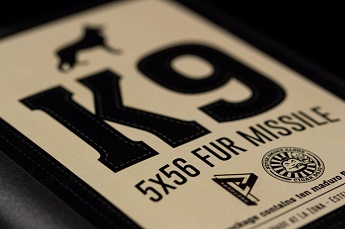 Throughout the year, the brand will unleash a flurry of activity to usher in its next 50 years. Exciting and unexpected new product launches, special events and retail promotions are set to kick off this month, under the banner of The 50 Days of Macanudo. Also in March-May, brick and mortar retailers who purchase any of the Macanudo promotions available at that time are automatically entered to win a $500 credit to be used toward future purchases of Macanudo cigars. The evolution of Macanudo will continue with an exciting new three-cigar collection from the brand’s top-rated Inspirado line, launching in late March. A very limited number of cigars will be seeded to cigar media and bloggers in attendance at the ProCigar show taking place in Santiago, DR on Feb. 20-24. MIAMI (Oct. 25, 2017) – Plasencia Cigars, a leading producer of premium cigars and the largest producer of tobacco in Nicaragua, is launching its revamped website at PlasenciaCigars.com. While the company previously established its online presence with a teaser website in 2016, the renovated website introduces a modern design and new features. 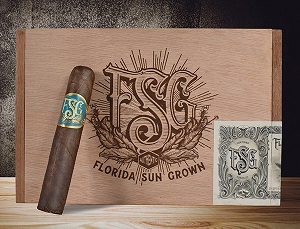 Among the new features are “Smoke Signals Near You,” a geo-location function that finds the nearest retailers that exclusively sell Plasencia Cigars for consumers, a “Heritage” tab that gives a look into the 152-year timeline of the Plasencia family history, and a “News” tab featuring the latest from Plasencia Cigars, including information on new releases, media downloads, and more. Currently, Plasencia Cigars has rolled out a total of four cigars in the U.S. with plans to expand their lineup in the future. Alma Fuerte, the first of five cigars that will make up Plasencia 1865 Alma Series and the first under the company’s namesake label, followed by Alma del Campo, the second of five cigars from the Alma Series, Reserva Original, the Cosecha 146 and the European exclusive Reserva 1898. 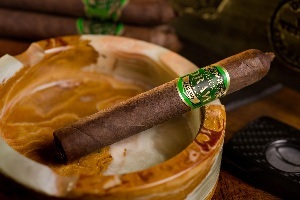 Plasencia Cigars originated in 1865, when Eduardo Plasencia started growing tobacco in Cuba. Three decades later, the business expanded and the Corojal Farm in Cuba’s Vuelta Abajo region was settled. Since then, five generations of the Plasencia Family have been growing tobacco. They are substantially regarded in the industry as being one of the largest producers of first-class cigar tobacco in Nicaragua. Today, Plasencia Cigars manufactures more than 40 million handmade cigars per year by growing tobacco on 3,000 acres combined in several locations throughout Central America; four in Nicaragua, three in Honduras, one in Costa Rica and one in Panama. Pre-event Ruth Chris Steak Dinner hosted by Villiger Cigars on the eve of the big event! (Miami, Florida) November 8, 2017— Sabor Havana Cigars is ready to host their 15th annual end of year event, which brings together cigar aficionados, industry notables, and influencers. The annual “Smoke This” event has become a Miami tradition hosted by Sabor Havana Cigars, which is known for being the premier cigar shop in Miami. Music, premium cigars, catered food, and premium open bars await guests this Saturday, December 2rd, from 2PM to 6PM at Sabor Havana located at 2600 NW 87th Ave Suite #3 Doral, Fl. 33172. Jorge Valdes and Aquiles Legra, owners of Sabor Havana, create the perfect setting at the event. The festivities will take place under an oversized tent, featuring cigars from the top brands in the industry, open bars and food courtesy of Sushi Saki, Divietto Italian Cusine, Christy’s Coral Gables, Ruth’s Chris Steakhouse Coral Gables, Diced, Chef Paella, and dessert by Kissie’s Cakes. The event will also feature a dedicated Villiger Cigars-Rum Zafra Lounge and a Davidoff Cigars-The Macallan dedicated area for those who enjoy a perfect cigar and spirit pairing. Other spirits in attendance: Rum Abuelo, The Tank Brewery, Jack Daniels, Woodford Reserve, Highland Park, and Russian Standard. On the eve of the “Smoke This” event, Sabor Havana, together with Villiger Cigars will host the pre event; “Cigars Under the Stars” dinner event catered by Ruth’s Chris Steak House. The event will feature Villiger’s La Flor De Ynclan Cigar which recently attained a 93 rating paired with The Macallan and a showcase of specially selected wines by Mega Wine & Spirits. This pairing will only highlight Ruth’s Chris signature steak dinner. The Smoke this event will feature the who’s who in the industry to include, Arturo Fuente Cigars, Villiger Cigars, Padron Cigars, Davidoff, My Father Cigars, Rocky Patel Cigars, Miami Cigars & Co. , Perdomo Cigars, Oliva Cigars, Tatuaje/L’atalier Cigars, C.L.E. Cigars, Espinosa Cigars, Atladis, Aladino Cigars, Plasencia , Toraño Family Cigar Co., Quesada , A.J. Fernandez Cigars, Gurhka Cigars, Ashton Cigars, Drew Estates, E.P. Carrillo, Cadwell Cigars, D’Crossier Cigars, and Xikar. For Jorge Valdes and Aquiles Legra, cigars were once just a hobby that slowly turned into a side business. After retiring from their respective industries, Jorge and Aquiles finally decided to dive into his true passion, cigars. Open since 2002, Sabor Havana has had a distinguished existence in the city of Doral. Receiving the key to the city in 2012, Sabor Havana has played an important part in the city’s growth. Tickets for “Smoke This” and “Cigars Under the Stars” Dinner can be purchased at Sabor Havana Cigars located at 2600 NW 87th Ave Suite #3 Doral, Fl. 33172. IPCPR applauds Congressman Diaz-Balart for continuing to raise concerns over regulation of premium cigars. We are also encouraged by the Director's ongoing commitment to regulatory fairness and remain committed to engaging Congress and the Administration on this critical issue. 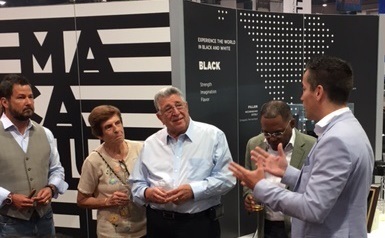 General Cigar recently held a private reception at the IPCPR trade show to honor cigar industry legend Benji Menendez for his many contributions to the company and to thank him for his ongoing support. “General Cigar is my extended family and I am grateful that they have never forgotten me. I am looking forward to doing more things with the company. I hope I can help in some small way to spread the word about the fantastic cigars they make,” said Benji. In Spring, 2018, Benji Menendez will appear in a very special event series for Partagas. Additional details including event dates will be announced in early 2018. Benji Menendez retired from his position as General Cigar’s vice president of premium cigars in 2014. His career spans more than 60 years in the handmade cigar business and his contributions to the category are too numerous to mention. 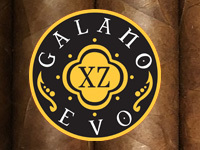 Galano Cigars invites you to be a part of the evolution, and order EVO XZ singles or a 20-count box directly from their online store. Use the code OVER100 at checkout to get free shipping anywhere in the US for orders over US$100. 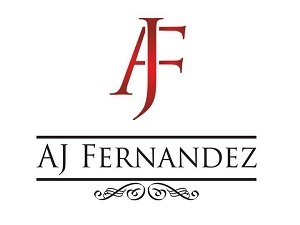 Miami, FL, February 5, 2018– AJ Fernández Cigar Company has hired former representative of Cigar Rings, SRL, Starky Arias as its new marketing director. Arias will assume the position starting March 1, 2018. “Starky is a key addition to the team as our company continues to grow. His experience, knowledge and creativity will lead our marketing department into the future” says company C.O.O. Selim Hanono. “I want to thank AJ and the entire team for this wonderful and exciting opportunity. It is an honor to join the team and get to work on all of the innovative projects. I’ve seen AJ grow throughout the years and the timing is now perfect” says Arias. Raised in Cuba and steeped in the rich tradition of the Fernandez cigar legacy, AJ Fernandez produces unparalleled premium cigars in Estelí, Nicaragua. Ensuring superior quality, the day-to-day operations at Tabacalera AJ Fernandez Cigars de Nicaragua, are managed under the watchful eye of AJ and his father Ismael. Among the world renown brands hand crafted at AJ’s factory are San Lotano, Enclave, New World, Last Call & Bellas Artes.